My allergy season starts in late August until the end of October, or whenever it starts to get cold. It’s never fun, I get the full blown itchy throat, eyes, nose and ears. While mentioning this to a coworker, he recommended I try acupuncture for allergies. He said a few of his relatives swear by it. Hmm…I was a bit skeptical. My first experience with acupuncture didn’t go so well. I went in for treatment on my shoulder and neck pain and I didn’t get any relief. Bummer! It was a disappointment. But, my allergies started to kick in. My sinus pressure was bothering more than enough to convince me give it another go. There’s a lot of information out there on what acupuncture is, ranging from pure traditional to modern beliefs tied to scientific evidence. In a nutshell, needles are used to release energy to allow qi (energy) to flow correctly. When the flow is interrupted, it causes pain and disease. In traditional Chinese medicine, acupuncture is linked to the belief that disease is caused by disruptions to the flow of energy, or qi, in the body. Acupuncture stimulates points on or under the skin called acupuncture points or acupressure points, releasing this qi. The qi then travels through channels called meridians. Some people believe it’s more of a placebo effect. Well I was out to see! After reading reviews for a few places, I decided on a place where people actually claimed it works. It was in the heart of Philly’s Chinatown. The doctor did a quick assessment by checking my pulse and mouth and asked what the issue was. He then stuck needles throughout my face and I was told to relax. It wasn’t painful at all. Right away, I felt my sinus pressure lessen. To be honest, it felt like he released some air bubbles! Hey, good enough for me, because my head was killing me from the pressure at this point. Any relief was fine by me. After about 15 minutes (I believe) he came back in and adjusted the needles. This was a bit uncomfortable, but bearable. At the end of the treatment (about 20-30 minutes), the doctor removed the needles and I was good to go. He informed me that it would be best if I tried to return weekly for a few more treatments. So did it work? As mentioned, right away I felt my sinus pressure lessen and my headache lighten. This was definitely a good sign. I also felt my nose clear up a bit. However, as soon as I stepped outside I sneezed a bit and still felt the itch in my throat. I thought…bummer!! BUT, a day after this treatment I didn’t have it anymore! It was amazing. My sinus pressure was gone as well as my stuffy nose and itchy throat! My sinus pressure was gone as well as my stuffy nose and itchy throat! I am amazed to be honest. 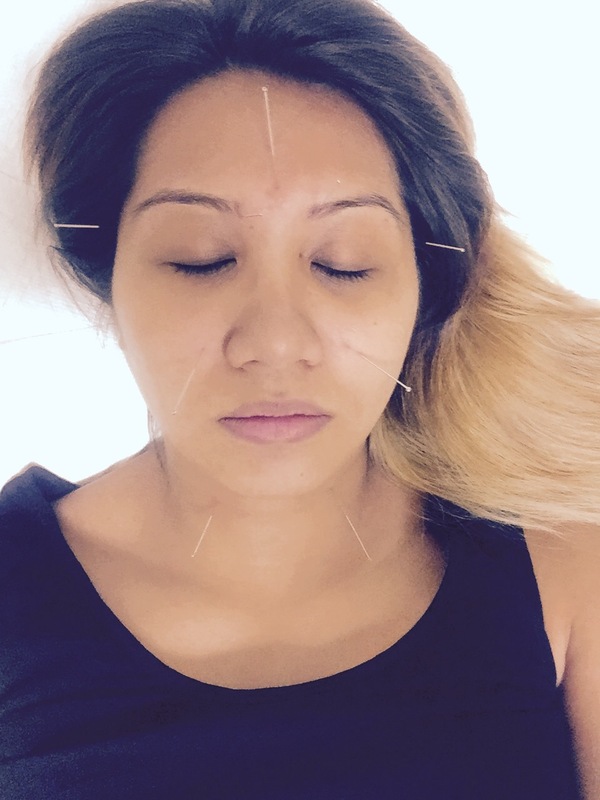 I am a true believer that acupuncture can help seasonal allergies. My seasonal allergy is pretty bad. Normally, I would have to take allergy medication daily and face the side effects! This season, I didn’t even take one! So yes, I am a believer. I say give it a try with a reputable doctor. If you do, leave a comment! I want to know if it works for you too! Henri Galvão on Rounded shoulders!